‘Tis the season as they say. This time of the year I always have a pot of soup on. Sometimes I even make 2 a week. I am such a fan of soup. I grew up on it and it is in my bones. 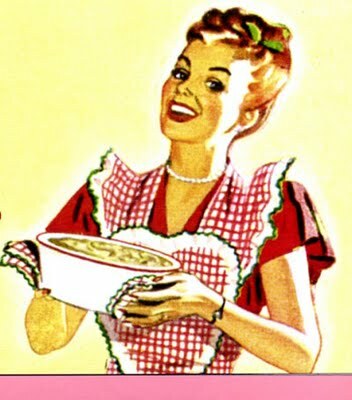 Every Sunday my mother would make her famous chicken soup and of course her homemade super thin egg noodles. You could smell that soup right through the house. When we came home from church that was part of our lunch. I can still smell it and I can still taste those noodles. Such memories. I’m sure that’s where my love of soup came from. So now I carry on the tradition of having soup. I hope I have been able to impart that tradition to my son and his family, so that they will also carry it on. 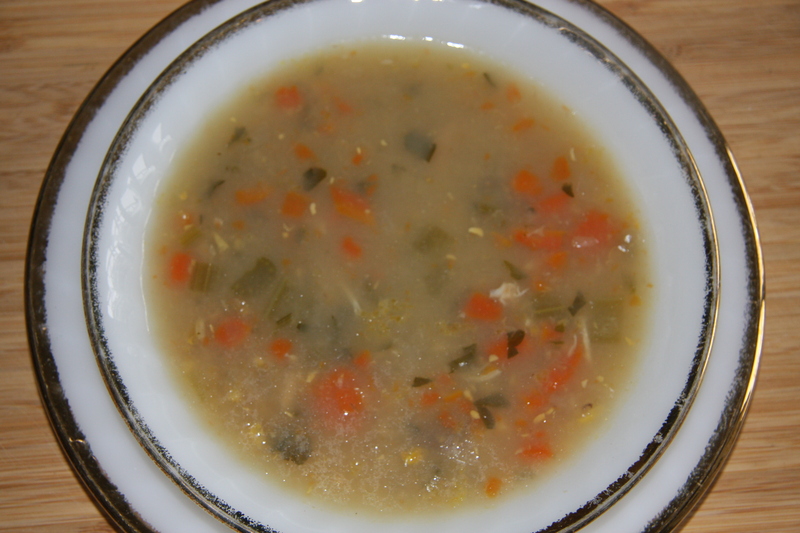 This recipe is a slight variation on my chicken soup, which I made up a number of years ago because my husband loves corn. 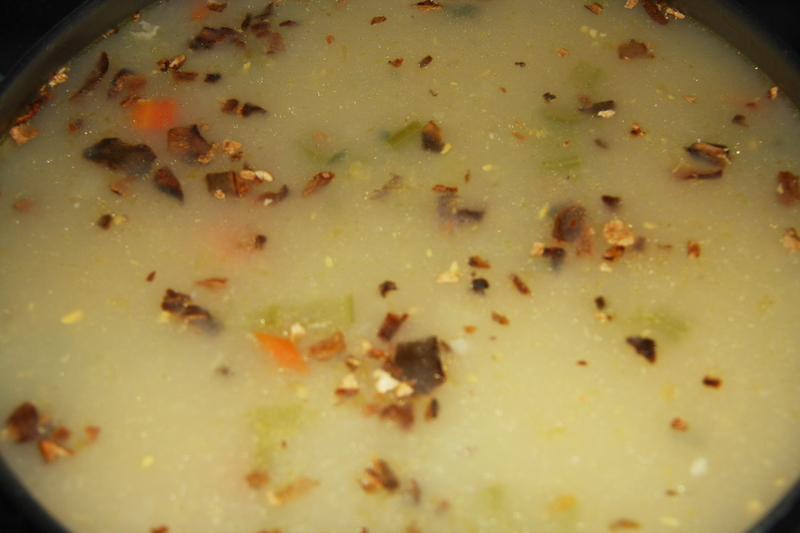 Like I have always said, “Put corn in anything and he will eat it.” I hope you try this soup and enjoy it as we do. I like to make soup with meat that has bones, it gives more flavor. 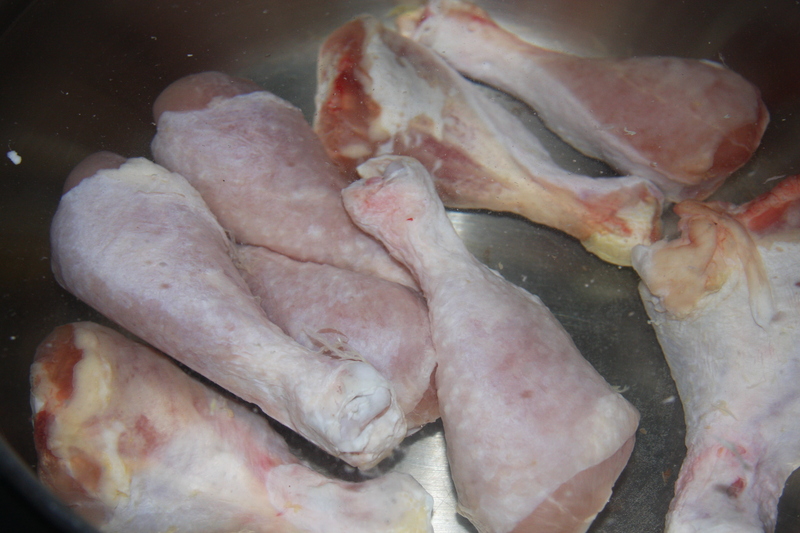 I had defrosted 8 drumsticks, but you can use what you like, even 2 boneless chicken breasts. It is up to you. 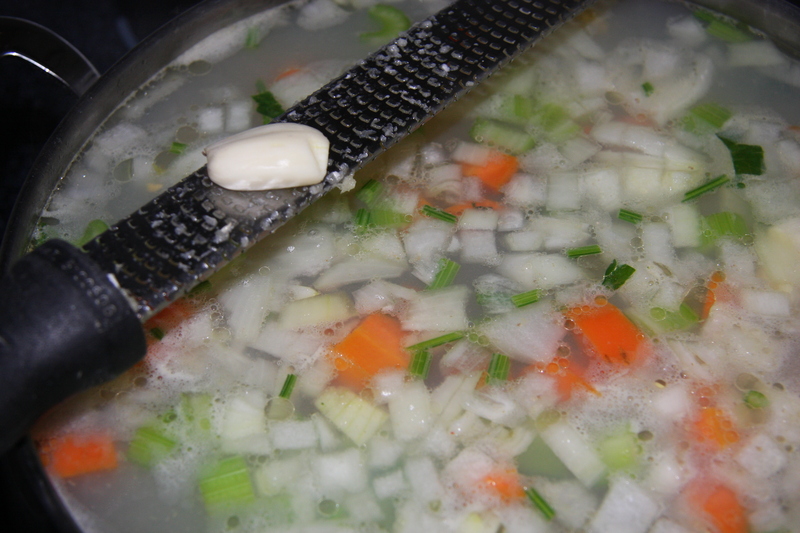 Add all of your chopped veggies, 1 carrot, 1 onion, 3 celery stocks and 1/4 cup of celery, 1/4 cup of parsley and grate your garlic straight into the soup. Next add 1 can of regular corn and 1 can of creamed corn. 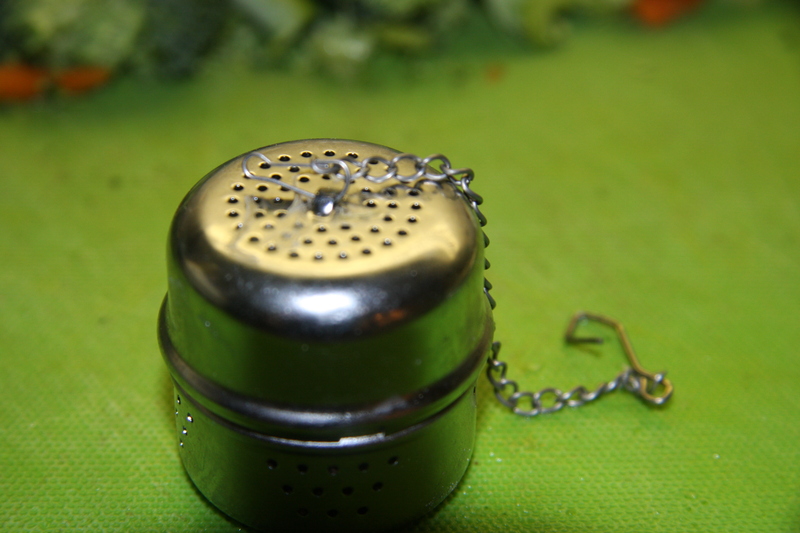 Also fill half of your tea leaf holder with peppercorns and add this to the pot. If you wish add 1-2 tablespoons of dried mushrooms. This just gives it another level of flavor. Once cooked, you don’t notice the bits. Also add 3-4 tablespoons of salt. You can adjust this while cooking and add more if you like. Give it a stir and partially cover the pot. Bring all the ingredients to a boil, then reduce and simmer 2 1/2 hours. 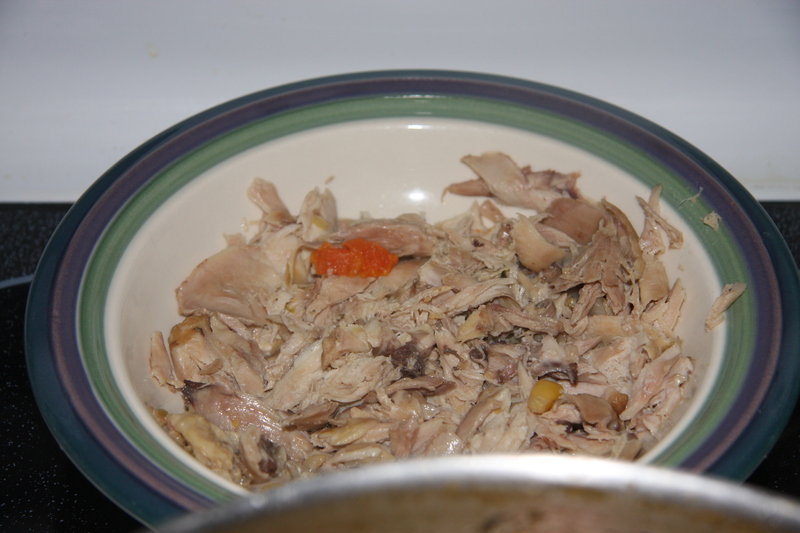 Once the soup has been cooked remove the chicken from the soup and shred what you would like to go back in. I shredded 3 drumsticks. With the rest I made chicken salad. The recipe is on my blog. I just used smaller portions. When the shredded chicken is ready add it back to the soup and it is ready to go. 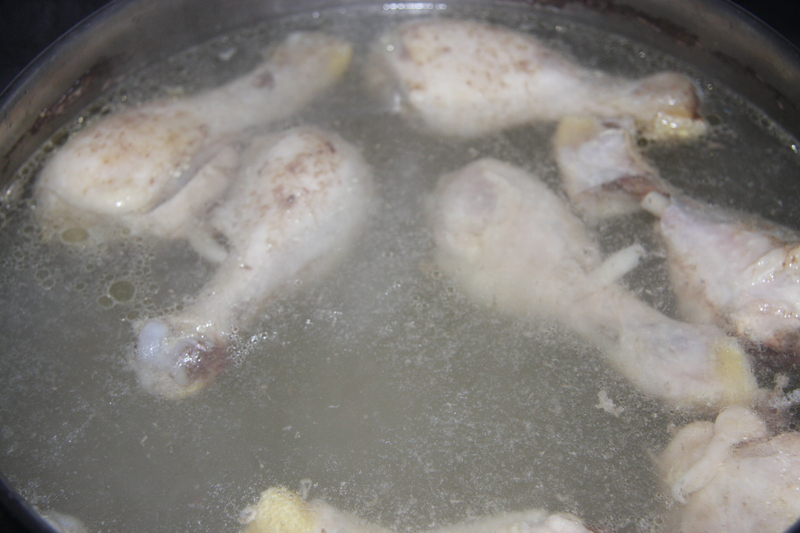 Add chicken and water to the stockpot. Bring to a boil, remove the scum that forms. Next add all the rest of the ingredients. Bring to a boil, reduce and simmer for 2 1/2 hours, partially covered. Remove and shred the chicken. Place it back into the soup, and serve. 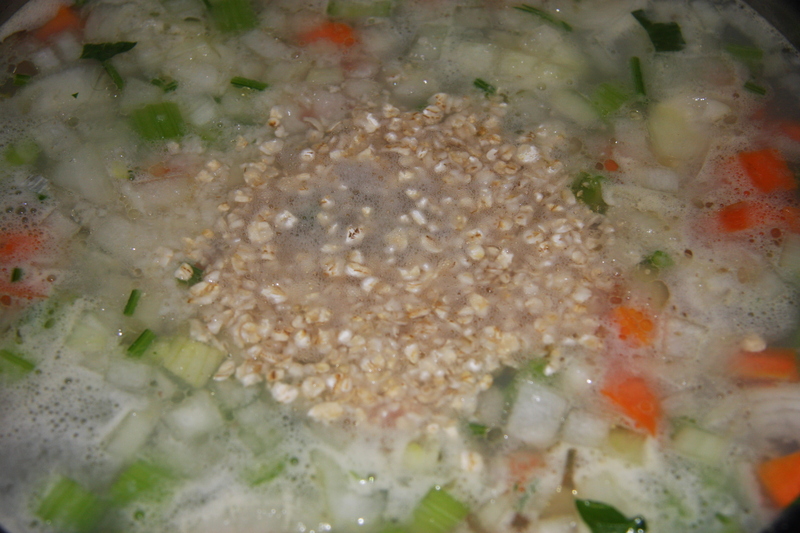 You could add noodles or even small dumplings into the soup. Enjoy with a salad and some crusty bread.